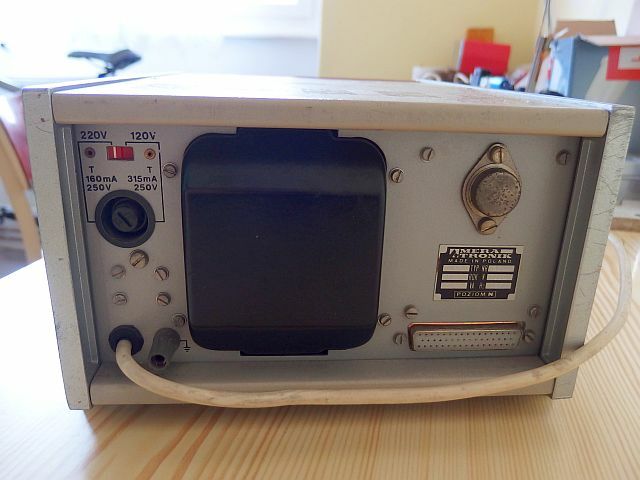 Recently I added a nice bit of old measuring equipment into my collection - a Polish nixie voltmeter Meratronik V541. 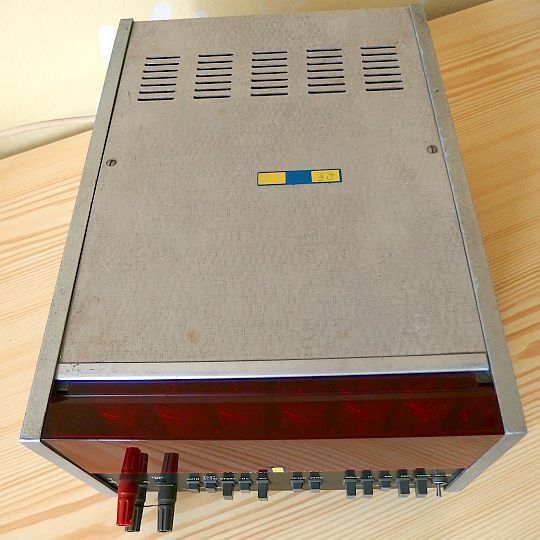 (Here I describe what is a nixie tube.) It measures DC and AC voltage in five ranges: 100mV, 1V, 10V, 100V and 1000V. 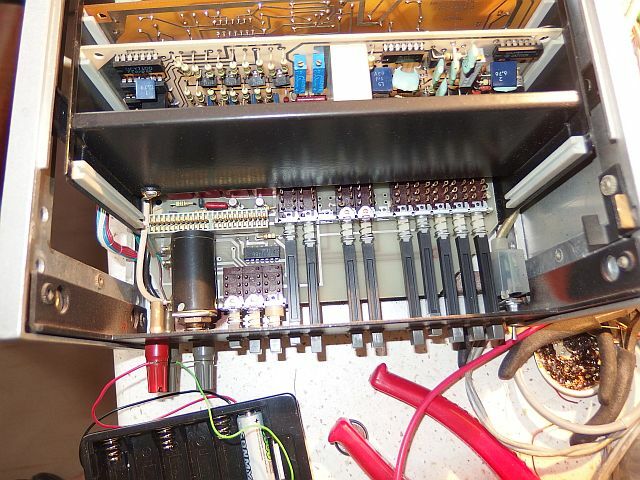 It has the option of manual sampling and automatic sampling with two selectable refresh rates. 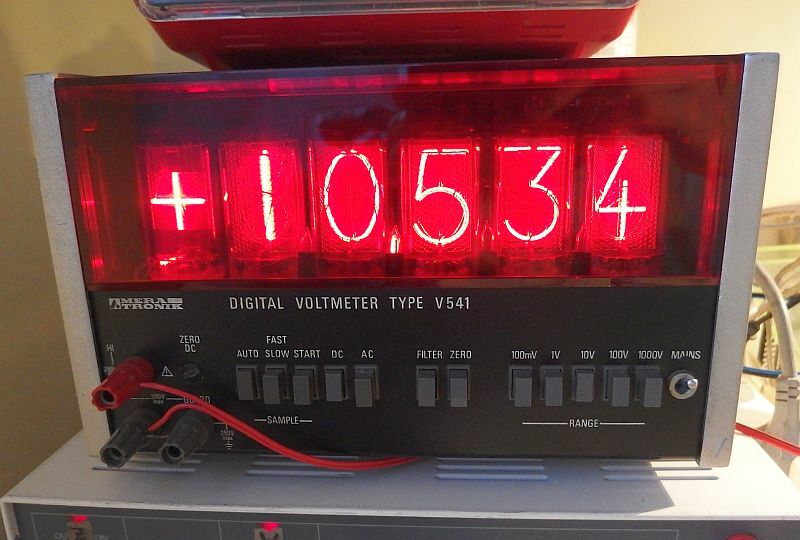 The device is equipped with five giant Nixies Z566M from RFT with a character height of 3 cm and one symbol Nixie Z567M displaying the symbols +, -, and ~. The actual maximum display value of AD converter is "11999". 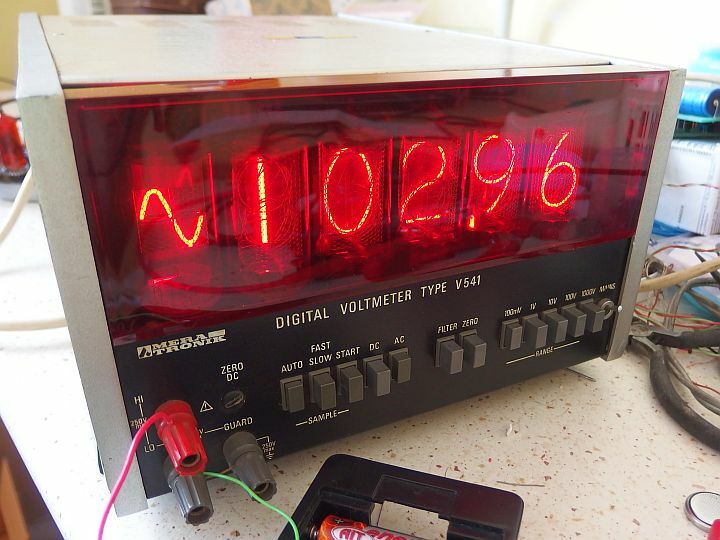 The nixie voltmeter is powered from 120V or 220V 50Hz mains and maximum power consumption is 25VA. My piece dates from 1980. When I got to it, it was'nt working. 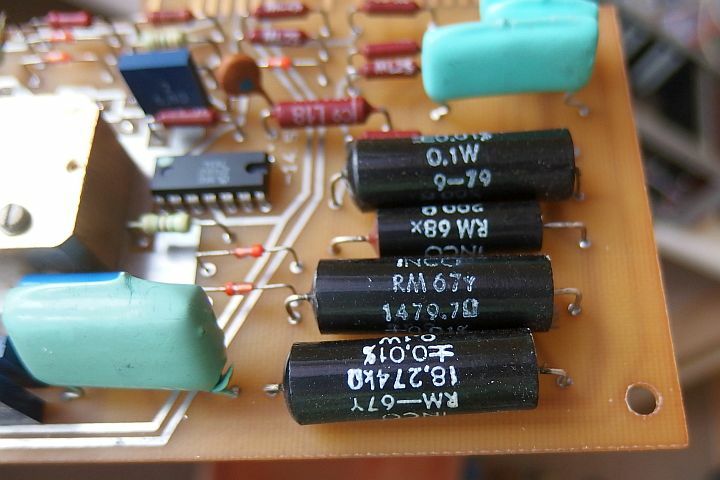 Fault, however, was simple - bad contact in connectors of plug-in boards. 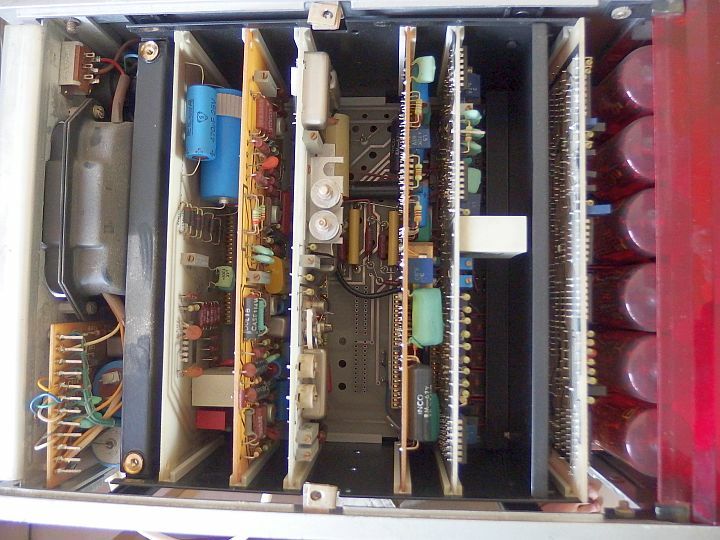 Type Meratronik V541 is an improvement on the previous voltmeter Meratronik V540, which measured only DC voltage. Successor Meratronik V543 is already boasting with the name "multimeter" because it has the added resistance function :). 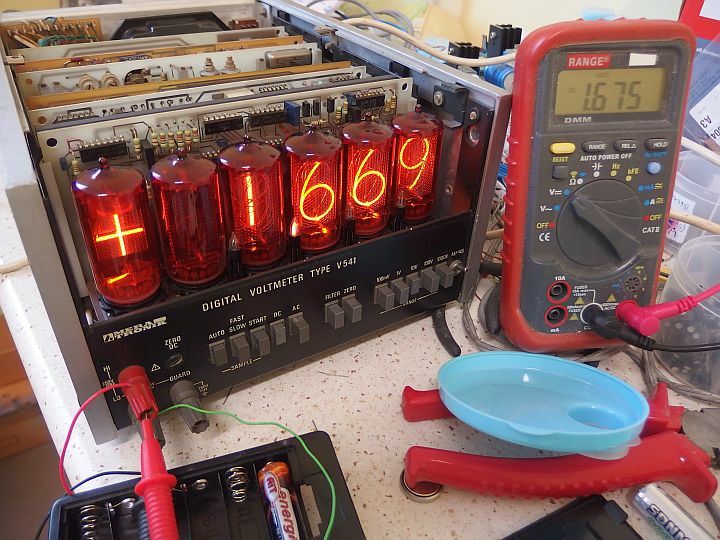 Nixie tube voltmeter Meratronik V541. 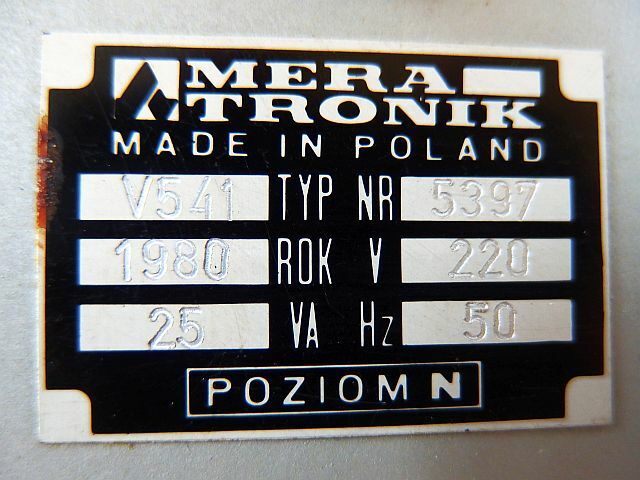 Nixie tube voltmeter Meratronik V541 - factory label. 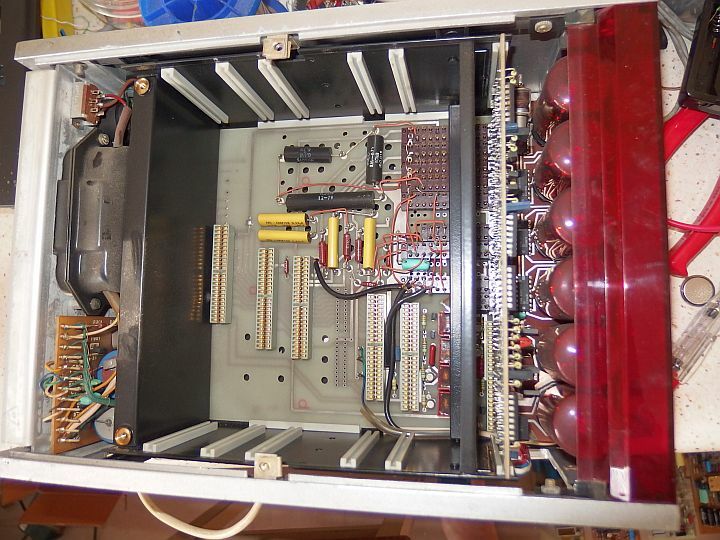 Front panel with the nixie board removed. 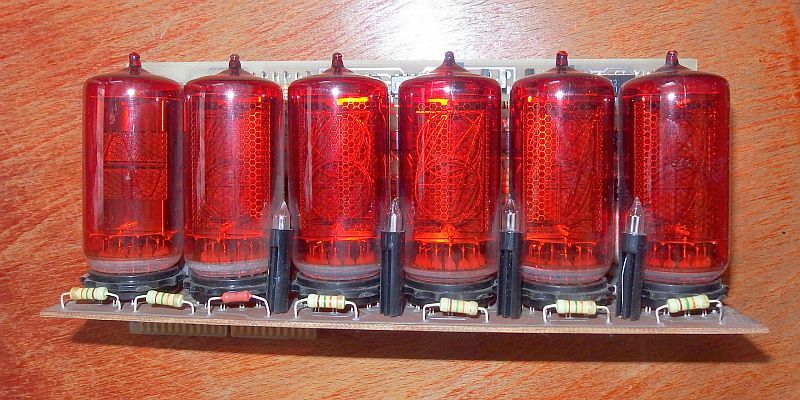 Board with nixie tubes - 5x Z566M and 1x Z567M. Nixie board with SN74141 drivers from top, the logic board is soldered to it in right angle. 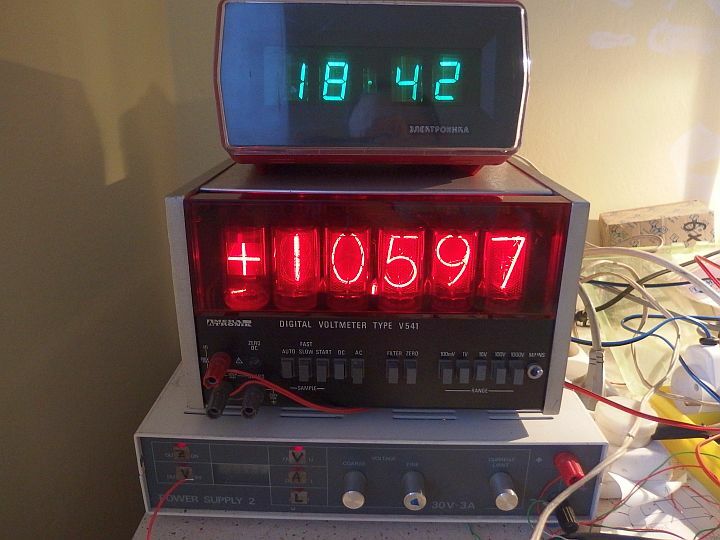 The nixie voltmeter became a part of my lab :).